Blogtitle, real estate, closings in florida, escrow, title attorney, real estate title insurance, real estate attorney, title attorney, homes for sale, escrow, closings, south florida real estate lawyer, notary public. broward real estate, broward attorney, title company, south florida title company, south florida attorney, probate attorney, broward real estate lawyer, broward title lawyer, palm beach title lawyer, palm beach real estate lawyer, title, real estate, closings in florida, escrow, title attorney, real estate title insurance, real estate attorney, title attorney, broward closings, broward real estate, palm beach real estate, palm beach closings, notary public, real estate title agents, broward real estate attorney, broward title attorney, palm beach title attorney, palm beach real estate, florida escrow agent, south florida escrow agent, real estate closer, title closer, attorney title company, real estate title insuranceattorney, title, title insurance, title commitment, real estate, attorney. TURNKEY TITLE & ABSTRACT, INC. CALL 954-509-3786 FOR A FREE TITLE QUOTE TODAY OR VISIT OUR CONTACT TAB. YOU CAN ALSO GET A FREE LEGAL CONSULTATION. DON'T DELAY, WE RESPOND WITHIN 24 HOURS! An ongoing series of informational entries about real estate and the real estate title insurance industry. What is the difference between a quitclaim deed vs. a warranty deed? The legal difference is what promises each document gives. A quitclaim deed commonly misspelled as quickclaim deed by many gives all or nothing. With a quitclaim deed, the grantor is 'quitting' title and giving it to the grantee. A quitclaim deed does not guarantee that the grantor holds legal title to the property in fee simple or that the grantor holds any other valid legal title interest. The quitclaim deed does not guarantee marketable title and therefore frequently involves nominal consideration. This instrument is frequently used by family members to add people to title, to remove people from title (IE divorce), change marital status of grantor (IE single man now a married man), and to change the vesting interest (IE add the spouse on the title to create a tenancy by the entirety interest). A cautionary note is to be mentioned when there is a beneficial transfer of an interest after a mortgage loan is obtained on real estate. Most mortgages contain a clause that states that any beneficial interest transfer not approved by the lender can result in the lender accelerating the debt, foreclosing on the loan debt, and there is no need for a demand letter prior to filing a foreclosure lis pendens and complaint. Foreclosure Firms in South Florida typically use this beneficial transfer clause to initiate a faster foreclosure case filing where a beneficial transfer occurred after a mortgage was given on real estate and the mortgagor(s) have not been paying the mortgage loan debt. 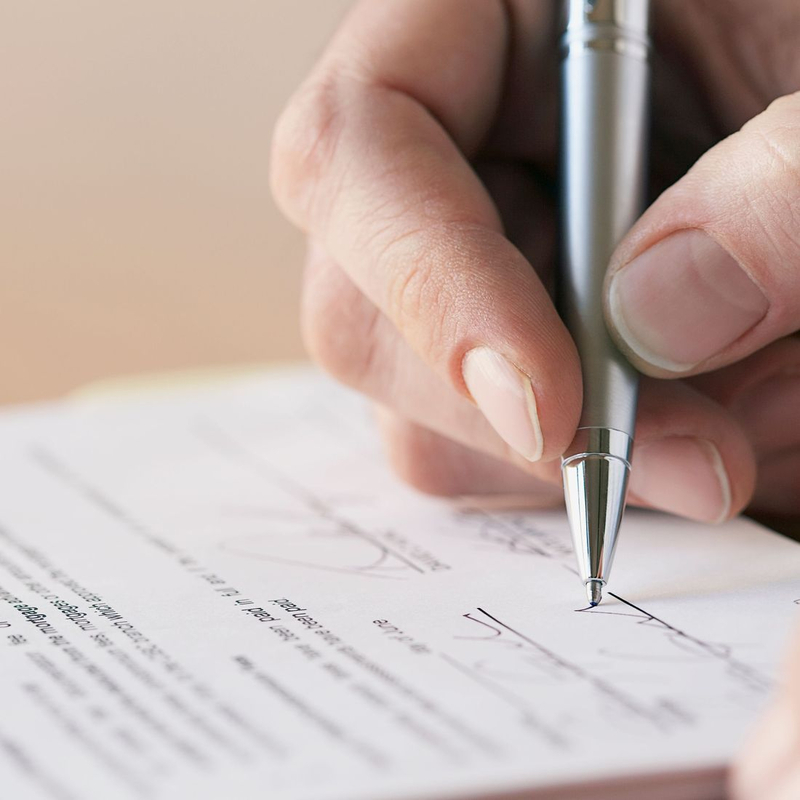 A General Warranty Deed is the typical deed that is used in a residential real estate transaction. A Special Warranty deed is the typical deed that a developer will use when they have built homes on a subject Plat or condominium and are selling the property/properties for the first time since it was built. A General Warranty Deed gives six covenants, one of which guarantees that the Grantee has fee simple title. Once the Warranty Deed is executed the "As Is" Real Estate Sale and Purchase Contract 'merges' into the covenants provided by the type of Deed given to the Grantee. The General Warranty Deed and Special Warranty Deed consideration is the purchase price of the residential real estate. Documentary stamps are paid on the Deed which is the amount of the purchase price times .007% and .006% in Miami-Dade County, Florida. After the typical residential real estate closing, an owner's policy is issued which makes certain guarantees to the owner regarding the marketability of the title and other matters. A cash buyer may choose not to pay for an owner's policy but this is risky as then the buyer does not have any title insurance protection on the real estate the buyer purchased. Most title insurance claims that are filed with the title insurance underwriter who issued the subject title insurance policy arise seven years after the initial transaction. Why you need an attorney in a real estate closing transaction vs. a licensed title agent? I hear in many of my real estate deals by clients, why do I need you? My answer is that residential real estate closings and commercial real estate closings involve legal documents and you should have an attorney review all of the documents involved in the closing process. Although many Florida real estate agents, do not think of the "As Is" residential (FARBAR) Sale and Purchase contract as a 'legal' document, it is. An attorney can review the contract and point out to the real estate agent or agents mistakes that need to be corrected, which frequently occurs. Many of the issues that arise during the closing process could have been avoided if a capable real estate title attorney represented the buyer or seller in a real estate transaction. For instance, I had a transaction in which a fixture was removed from the property by the sellers and I had to get involved in the dispute as a real estate title attorney to resolve the matter. Many licensed title agents in the State of Florida only passed a test and do not have the real estate title insurance background experience to properly handle a transaction from beginning to end. For many title companies, the work is segmented and employees are not cross trained. Therefore, the employees frequently only know one piece of the title procedure process. This segmentation of the work frequently results in lack of communication with all parties to the closing, mistakes that are overlooked by multiple people, and a lack of accountability for providing a superior closing experience and real estate title insurance products. The most frequent complaint I hear from clients about real estate title insurance companies is that they are not responsive and there is a lack of customer service skills by the employees. Attorneys are held to a higher standard of conduct by virtue of the oath they take when they become licensed in the State where they practice.